Saturday MPO teachers Conference was held on Sylhet. All educational institutions demand together to the nationalization of the Association of Teachers. Read Below this News in Bangla. For more News about MPO in Bangladesh click here. Hope You read carefuly this News on My blog.Thanks for stay with us. 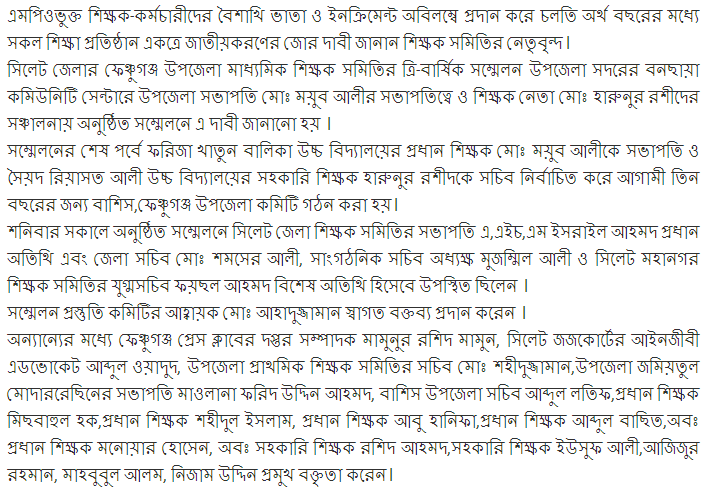 This entry was posted in Education Services, NTRCA BD and tagged mpo teachers news bd, ntrca by admin. Bookmark the permalink.